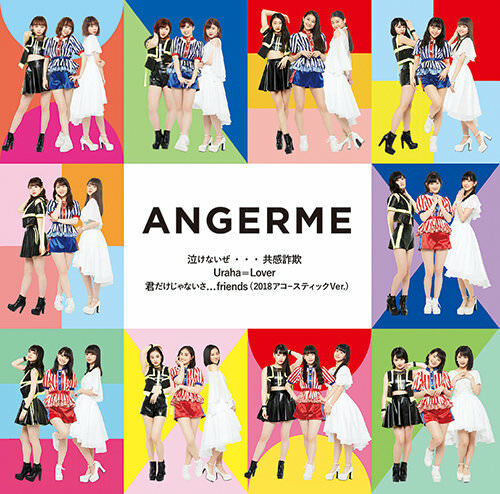 A quieter, more emotional version of ANGERME’s “Kimi dake janai sa … friends” makes its second entrance in the New PV Alerts. 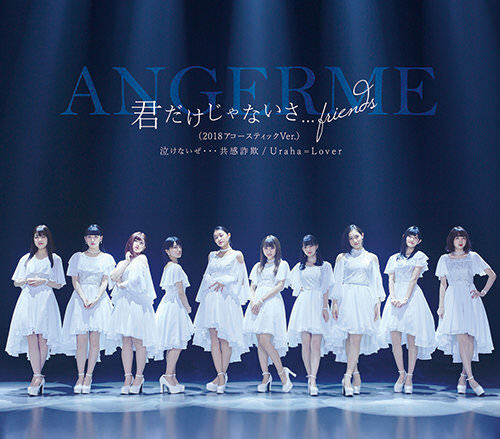 Originally finding a home on the group’s digital single “Manner Mode / Kisokutadashiku Utsukushiku / Kimi Dake ja nai sa…friends” from last year, this song sees new life in a proper release as a showcase for the evolved vocal strength of the group. 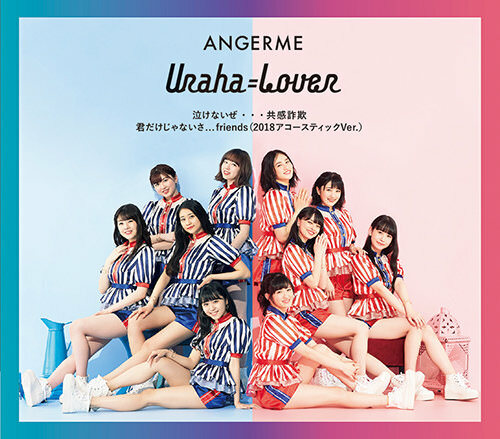 New members Kawamura Ayano and (especially) Funaki Musubu add strength to the already formidable group of vocalists the group has amassed since its rebirth. Especially in the final chorus, you can hear how well the group works together to build harmony. 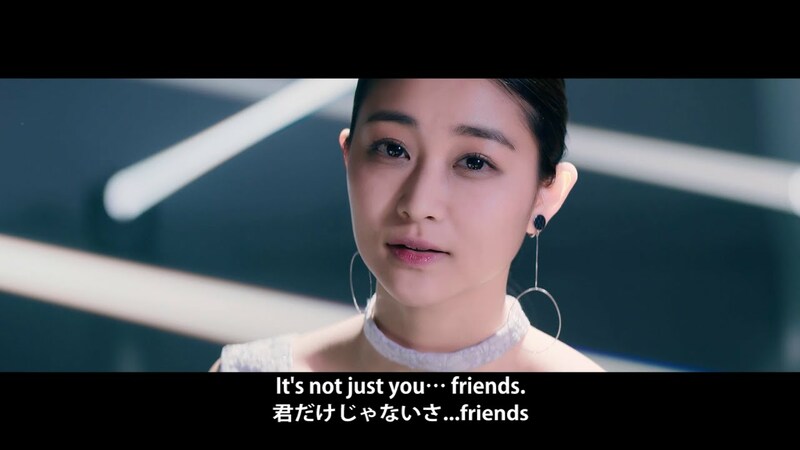 The simplicity of the arrangement with its acoustic guitar harmonics and subtle cajon rhythm tracks add emotional value to the song, and when the bass tones arrive with the strings, “Kimi dake janai sa .. friends” should leave you breathless with its beauty. 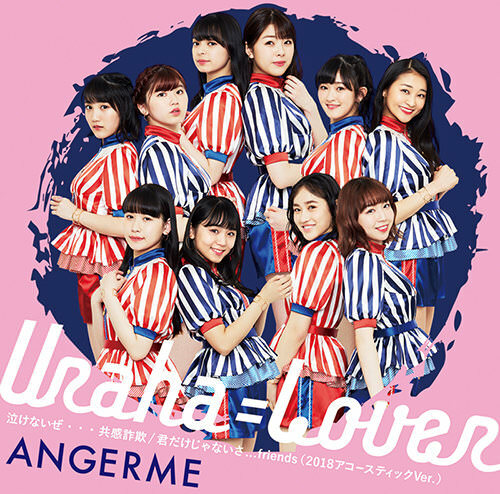 Perhaps the song won’t burn down the building like other firestarters from the group, but ANGERME holds its torch high. “Nakenai ze … Kyoukan Sagi / Uraha=Lover / Kimi dake ja nai sa… friends (2018 Acoustic Version)” goes on sale May 9, 2018. Previous New PV Alert: Choux Cream Rocket – Kimi no Achoo!